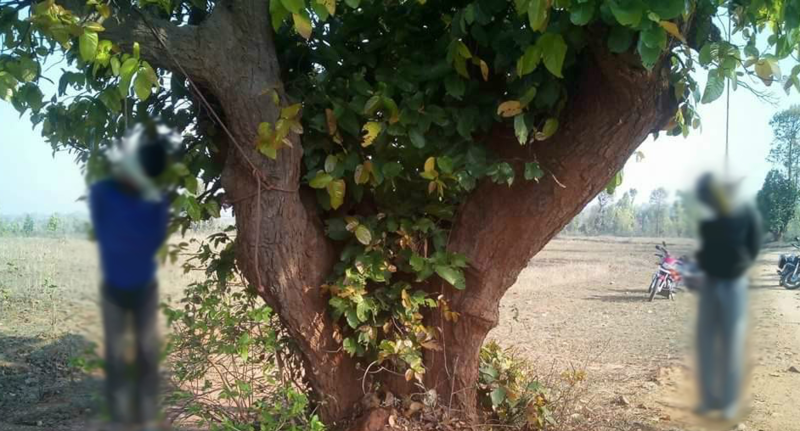 New Delhi: Almost two months after the gruesome lynching of two cattle traders in Latehar, Jharkhand, a fact finding report of the NCM has questioned the role of the state police in containing the simmering communal tension in the area. The two NCM members who led the fact finding team, Farida Abdulla Khan and Praveen Davar, found that the police ignored several complaints from the Muslim community against regional cow vigilante groups prior to the incident. 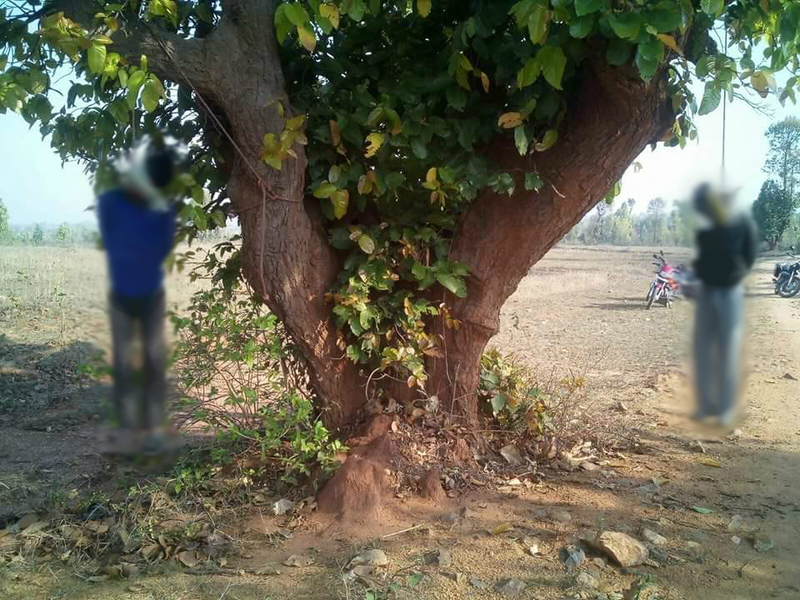 Two cattle traders, Majloom Ansari (32) and Imtiaz Khan (13), were beaten and hanged to death by some cow vigilantes in Jhabbar, Latehar on March 18, 2016 when they were travelling to the nearest fair to sell their cattle. Five men, all allegedly belonging to the local Gau Rakhsha Samiti, have been arrested in the case. The report, finalised on May 18 and yet to be sent to the state government, notes that the police acted in a brazenly communal manner with the protestors who came to file a report after the killings. The protest had turned violent with the police resorting to lathi charge and firing in the air. “When we visited Balumath and Nawada villages from where Ansari and Khan came, the Muslims told us that its anger against the police was cumulative as the local police did not take any action despite their repeated complaints over the last few months against the cow vigilantes,” Farida Abdulla Khan told The Wire, adding that villagers complained that the cow vigilante groups often threatened them to stop their business or face consequences. In a scathing criticism, the report says that slogans like ‘go-to-Pakistan’ were frequently used by the local police against the Muslims, pointing towards a larger communalisation of the state police. The report, in what it calls a “brazen communal reaction”, mentions one sub-inspector of the Chandwa police station, Ratan Kumar Singh, who is said to have “physically attacked several of the protestors and used extremely provocative, abusive and communally charged language against the Muslims”. Khan said that most Muslim residents of the area talked about Singh’s communal prejudices and said that his presence at the protest aggravated the violence. Khan pointed out that the Muslims of the area were so angry that the families of the victims refused to take the compensation of one lakh rupees that the state government had announced. The findings of the committee are in keeping with reports that cow protection committees are centrally managed by Hindutva groups spread across India and have come to enjoy political patronage especially in BJP-ruled states. Noteworthy is that the Jharkhand administration was reluctant to admit the association of the five people arrested with cow vigilante groups. “Gau Raksha Samiti activities are a parallel event and there is no direct link to the killing. The group’s members had assaulted some villagers earlier but there is no direct bearing of this on what has happened now,” Latehar superintendent of police Anoop Birthare had said. The BJP chief minister Raghubar Das, too, towed the Hindutva line in the aftermath of the Latehar incident. “There is a lot of cattle-smuggling in the area. Just like Uttarakhand, in Jharkhand trafficking cows across the border is not permissible,” he had said in his initial response, while quoting the Jharkhand Bovine Animal Prohibition of Slaughter Act, 2005 that bans cow slaughter and transporting cows outside the state. It was only after it was pointed out that the two cattle traders had not violated the law that he asked his officials to take quick action and prevent such incidents in the future. The NCM report has recommended that the case be handed over to the Central Bureau of Investigation to ensure quick delivery of justice to the aggrieved families. It also says that stern action should to be taken against Ratan Kumar Singh and any one engaged in incitement to communal violence. The team also recommended that compensation for the affected families be increased to 3.5 lakh rupees, already in the state government’s provisions. The NCM team also visited Hazaribagh, witness to Hindu-Muslim riots during the Ram Navami procession on April 17. “Over a dozen shops and several vehicles were set ablaze by the mobs. We were told that the puja committees are advised every year to avoid playing songs that are directed against any community. All these check lists are given to them every year and although they agree to abide by these, they circumvent it by using one excuse or the other. Such songs with twisted lyrics were being played for last many years defying the orders of the administration. Though opinion varied, it appears the tenor of the songs played this time was much sharper in their anti-minority bias. A large number of participants consume heavy quantities of liquor which adds to making the situation more aggressive,” the report notes about the Hazaribagh violence. “The minority community showed us damage that they had to bear because of the riots and that the state administration has not estimated their losses well. No compensation has been paid to them. They also complained that neither the police nor any of the neighbours came to their rescue when their shops and houses were being set on fire,” said Khan. Communal riots had broken out when the members of a Hindutva group played certain allegedly anti-Muslim songs in the procession. Khan said that just like Latehar, the Muslims of Hazaribagh complained about frequent threats by Hindutva groups. “This ‘go-to-Pakistan’ slogan against Muslims and other such unpronounceable abuses, are slowly being used as the main weapon to attack the minorities in Jharkhand,” said Khan. The NCM team has recommended adequate compensation for the riot victims and punishment for those who were involved in the riots. In addition, it has instructed the district administrations to “explore if the Ram Navami celebrations could be restricted to only one day as in other parts of the country”. Even in the past, Ram Navami processions have acted as the trigger for communal violence in many parts of the country. Khan drew parallels between the Jharkhand incidents and the Muzaffarnagar riots and Dadri lynching case. “In all these cases, we have found that the minority community has lost faith in the administration. Despite the fact that they had to live under constant threat, they were absolutely stunned by the way the two persons were killed,” the NCM member said, while talking about the impunity Gau Raksha committee members enjoy in the present times. That Hindutva groups have gained confidence after the BJP has come to power and enjoy a greater degree of impunity than in the times of the previous government is difficult to disagree with. The BJP-ruled states have increasingly become prone to communal polarisation in the last two years. Even certain BJP parliamentarians have resorted to making hateful statements against minorities. Given this context, the NCM report pointing to the Jharkhand administration’s complicity in Hindu majoritarian propaganda or even lack of interest in protecting the rights of Muslim citizens is not just significant but a timely reminder of a volatile situation.